Technipetrol Hellas s.a. / Motor Oil Hellas Korinth Refineries s.a.
Motor Oil Hellas Korinth Refineries s.a. Performance of mechanical calculations. Issue of construction drawing in Autocad. Supply of all materials. Column manufacturing / welding. Performance of all NDTs. Insulation supports installation. Sandblasting-painting of the column externally. Transport of the column to M.O.H. by truck. CE marking, according to PED 97/23/EC. Delivery of column's Inspection Book. Technical Data : C-360_Treating Tower / ID 3100mm / TL-TL 25000mm / Weight 91,77 tns. Engineering, design, material procurement, fabrication, ‘CE’ marking, N.D.T., sandblasting-painting and delivery to Client. Technip Italy SpA (Italy)/ Motor Oil Hellas Korinth Refineries s.a. 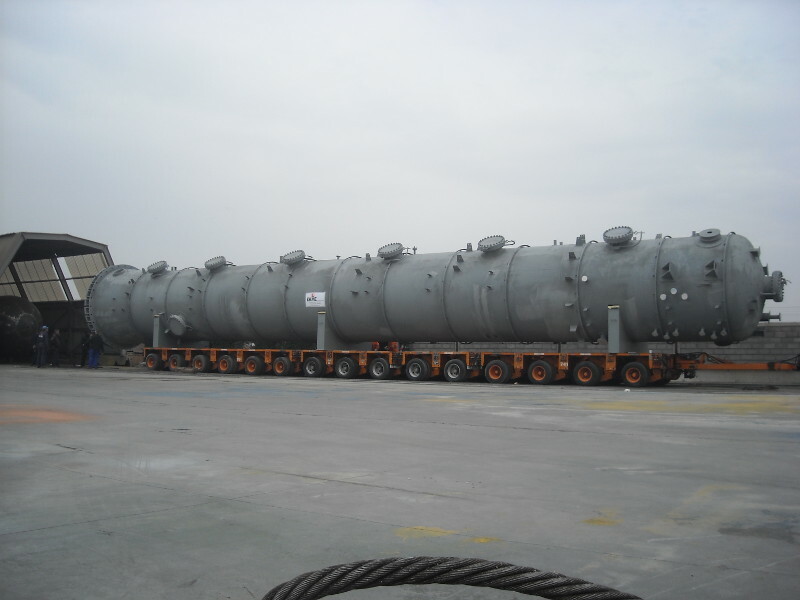 Mechanical calculations, shop drawings, material procurement, fabrication, N.D.T., sandblasting-painting, delivery to site of the Pressure Vessels & Towers T-170/D-176, T-171, D-172, D-173, D-174, D-175, D-177, D-178, D-179/D-180, D-170, D-171, D-912, T-912 and Heat Exchangers No E-170A/B, E-176A/B, E-171, E-173, E-913A/B, E-914. Detailed engineering, fabrication and non destructive testing has been performed under ASME VIII Div. 1, TEMA 'R' & EXXON Basic Practices codes.